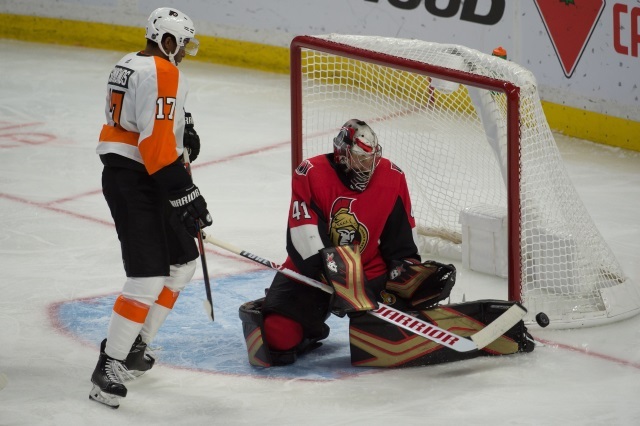 Tony Androckitis: Is there something going on between the Philadelphia Flyers and the Ottawa Senators. The Flyers had a scout at the Carolina Hurricanes and Ottawa Senators game last night. The Senators had two scouts at the Flyers games and one at their AHL. Chris Nichols of Nichols on Hockey: Elliotte Friedman on Sportsnet 960 was asked about the Philadelphia Flyers. GM Chuck Fletcher has been evaluating his team and get the sense that they want to make a big move. “I think Simmonds is going to be traded. I think there’s a few teams looking at him. But as for the big moves, I’m not sure if those will happen now or they’ll take a little bit longer. Friedman adds that some of their bigger moves could happen in the offseason. Brian Heyman of Newsday: New York Islanders forward Jordan Eberle is in the last year of his six-year, $6 million per season contract. He admits that he’s thinking about it, but know he can’t control it.